Have you ever wondered if you could get free clothes and shoes? Are there websites available for free clothes? Absolutely! I have found several ways to get free clothes. Even name brands for back to school shopping! Finding free name brand clothes? Yes I did! You may not fill your entire closet with free name brand clothes. But you can absolutely add some essential clothing items to the mix ~ for free! 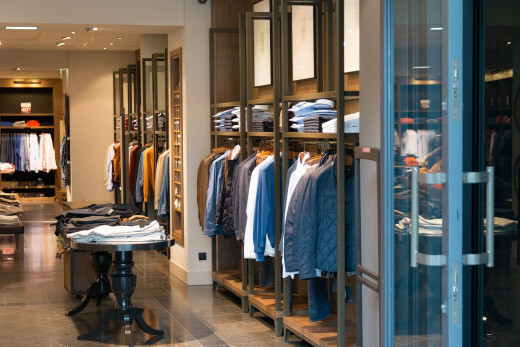 If you have ever struggled financially, you know the need for clothing can be expensive. Finding free clothes or shoes is not impossible. I have found some amazing ways to obtain free clothes without help from the state (clothing vouchers). As you can see I scored over $18.00 worth of clothing for free! Schoola is a must for anyone looking for clothes, cheap and free! I stumbled upon Schoola while searching for samples and freebies the other day! As a frugal mom who also loves paying it forward when I can, I am beyond excited about this website! Schoola not only offers discounted name brand clothes, gently used and many brand new items with the tags. They currently offer a $20.00 credit at signup, as well as free shipping! I am pleased with the availability and range in sizes. From baby clothes, preschool, school age, junior and ladies clothing. There is a bit of everything for everyone! Though I did not notice any men's clothing, there is a diverse selection for boys from 0-3 to teenagers! The best part is with using your credit you can get clothes for free! The best part about Schoola - a portion of all items sold, are donated to a school! So if you love helping schools raise money you can order a bag (free). Fill it with clothing and mail it off. Once your clothing sells a portion of the sale price will be donated to a school of your choosing! Here is the best part, for every friend you refer to Schoola they will give you an additional $20.00 credit to spend! If you have enough family and friends, you can potentially fund an entire new wardrobe of free clothes! I currently have an Elementary School for the deaf as the recipient of proceeds from the items I send in. I feel fabulous about not having to try and figure out how to sell or donate the clothes my family outgrows. I am in a VERY rural area, so there really are no places for me to just donate items. Many of the clothing items are extremely budget friendly! Some of the items I snagged were below $3.00 in like new condition! I have never been a brand hound. As long as the kids clothes fit and were presentable I was fine with that. I must admit as a mom who worries about bullying and lives on a very tight budget, I am so happy that I can now get name brand clothes. Free this round, and with enough referrals who knows how many more free items I can get! Schoola is also a great chance to score some back to school clothes! For free! Have you heard of Schoola before? Let's talk about thredUP. Pretty similar to Schoola. Right now thredUP is giving $20.00 to every friend you refer and you also get $20.00 for referring them! Boasting over 12 million items being up-cycled through thredUP so far! You can also request a postage paid bag (free) to fill with your items to send thredUP. There are 3 ways to earn money through sending in your clothes. You can store credit toward future purchases, donate them to a good cause, or get a PayPal payout! With thredUP keep in mind they do have stricter standards for the items they will sell. They typically only keep and sell 50% of what is sent in for consignment. They are very big on name brand clothes. So be sure to really check into what they accept before sending in your bag! You may find the items you are ready to send will be accepted at Schoola, but not thredUP. Typically thredUp is looking for high end name brand clothes in like new condition for woman and children. Having sent in a bag to thredUP about 6 months ago, you really don't make much off the items you send in. If you have your eye on something, the best way to get it for free is to refer your family or friends and get the $20.00 credit when they make a purchase. This way you can get free clothes, without loosing out on the items you send in. Still a thrifty alternative to shelling out retail for name brand clothes! Another at the top of my list for back to school shopping and free clothes! What will you likely try first? I recently was introduced to Gilt.com from an exclusive free and sample group I am a part of. Like the other sites I have mentioned right now they are offering $20.00 in credit towards free clothes. If you refer family or friends you get an additional $20.00 once they make a purchase. Gilt offers designer items at up to 75% off of regular retail price! Not only do they have designer clothes for children and adults. They have everything for your home, and personal accessories, even cologne! So it is up to you what you buy or in this case what you get for free! The only kicker on this one is shipping is not free, and will run you about $9.00. So until you build up your referrals, just stick to an item priced at around $12.00 and you pay $0.00 when using your credit for signing up! If you really find you like Gilt, you can opt in much like an Amazon prime membership and pay a low fee to get free shipping in the future! 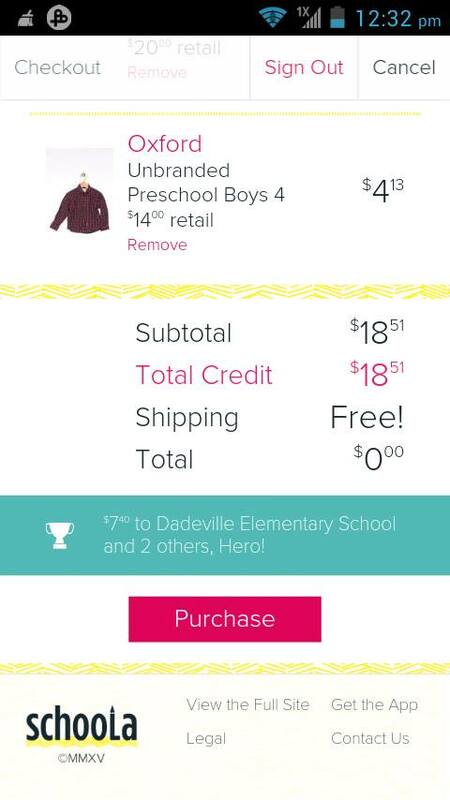 Making it really easy to complete back to school shopping and get designer clothing for free! With so many styles and sizes to choose from you cannot go wrong with Schoola or thredUP! Yerdle is similar to Schoola and Thredup but fairly different at the same time. I am new to Yerdle but wanted to spread the word while the free credit was still going on! Once you signup you will get a $10 Yerdle credit, and free shipping on the first order. You get a $10.00 credit for every friend you refer and you get free shipping for every item they give. You maybe wondering what I mean by give. Well you can give stuff away! Think of Yerdle as a yard sale of sorts. You take photos of items you do not want and post them for sale. Or you can give it to someone who has it on their wishlist! Pretty neat if you ask me. From clothes and cosmetics to odds and ends you can find just about anything on Yerdle! I found a high end contour palette for $8.00! With this one it is best to try and build some referral credit up, since you only get free shipping on your first order. Adding back to school clothes to your wishlist could have you getting a lot of free clothes! Those are my top choices for getting back to school clothes for free! You can also consider groups on facebook. There are several groups that offer clothing for free, though you are responsible for paying the shipping costs. Still a much better alternative to paying extremely high retail value for clothing and shoes for back to school. With all the other expenses associated with back to school shopping, getting free clothes is a bonus. Free clothes will save your budget and allow you to spend more on back to school essentials. Like book bags, pencils and notebooks. 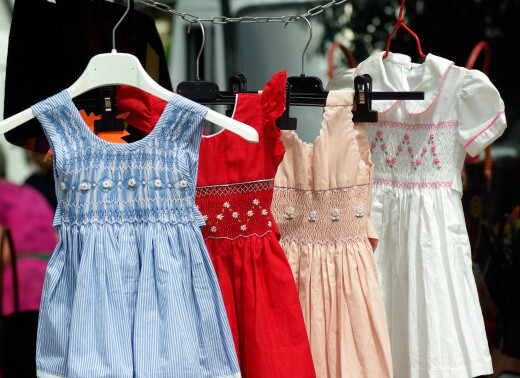 Starting your own swap and trade for back to school clothes is another alternative. It is a really great way to pair up with other families that have kids older than yours. This way you can swap and trade clothes for back to school. You post the sizes you have to trade, and what sizes you need. No money exchanged if you create a local group, and meet in a public place. This is also a great way to recruit referrals for all the other ways I mentioned to get free clothes! It really is simply to get free clothing for back to school. How to get Free Clothes for Yourself and Your Family. Thank you AliciaC, I have added two more sites that I found! I hope that this information will make its way to someone who like me may find themselves down on their luck now and then and needing a few things! These sound like great websites! Thanks for sharing the information about them. They should be helpful many people. Rachel, it is a struggle for sure. I hope your daughter finds this helpful! I save money any way I can! Peeples with Schoola I do think they keep the other 60% rather than return any to the person that sends in clothing. I assume this would be to cover operating costs. Cataloging and taking photos of clothes, and then uploading to the site, as well as preparing shipments etc - can get a bit costly. I would say that is why they operate on donation vs consignment. Hi Cynthia, I never did hear of any of these website, but I think it's wonderful. I see prices of clothes in the stores, I don't know how young mothers do it these days. I'll tell my daughter and niece about it. Thanks for sharing the news. I've used both of these sites. I lucked up and got the schoola promotion a few months back where I got a credit for joining, I ended up getting $20-$25 worth of clothing free with no shipping without having to refer anyone. I still don't understand them though. If I send in clothes do I get any of the profit or do they keep the 60% they aren't sending to the schools?